On Saturday June 29th, Mike Peters will bring The Alarm to Cardiff University for A Midsummer Gathering that will celebrate the 30th Anniversary of 'A New South Wales', and take part in a reunion with the Morriston Orpheus Male Voice Choir who also sang on the original recording. 30 years ago, Wales was in the midst of enormous and seismic change, attempting to recover from the ravages of the 1984's miners’ strike. To understand and placate the actions being deployed in the name of Wales' birth language, Mike Peters undertook a creative song-writing journey, through the heart of Wales, which ultimately became the inspiration for The Alarm albums 'Eye of The Hurricane' (1987), and 'Change / Newid' (1989). This unlikely journey 'upstream' into Welsh culture would also lead Mike Peters to his future wife Jules (who was studying English Literature at Bangor University), and a home country dominated by the paint spray sloganeering 'Nyd Y Cymru Ar Werth' / 'Wales is Not for Sale' of Cwmdeithas Yr Iaith Gymraeg / The Welsh Language Society . Discovering all of this would invite both questions and answers for Mike Peters who was driven to contextualise what was being revealed to him through both lyric and song, as documented in BBC Wales landmark film 'Blaze of Glory' (1989). Then as now, Mike Peters and The Alarm were known throughout the world as an English speaking Welsh band with an enormous following, and their song 'A New South Wales', resonated most clearly with audiences at this time. Recorded in both English and Welsh - 'A New South Wales' / 'Hwylio Dros Y Mor', was recorded was produced by Tony Visconti (Bowie / T-Rex), with backing from the Morriston Orpheus on June 25th 1989 at the BBC Wales Studios, Cardiff and released as a Double A side single in early 1990. This most enduring of Alarm songs, went on to be recognised as the first ever bilingual song to reach the UK Top 40 and, by pointing Wales' past towards its future, signposted the way in which a new generation of Welsh artists could express themselves with a greater linguistic freedom. 6. The Alarm – A New South Wales. 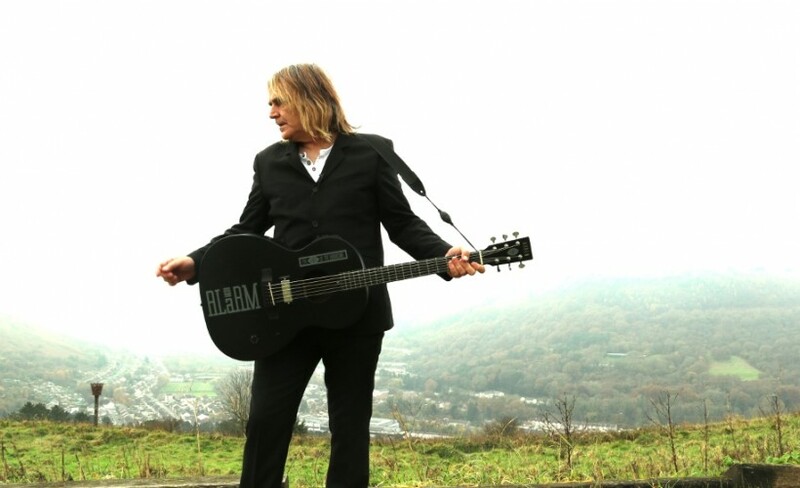 When Mike Peters undertook a journey of discovery around Wales it was a pilgrimage that had a profound effect on him and his music. It resulted in his band The Alarm simultaneously releasing an album in English and Welsh – entitled Change / Newid. This thunderous homage to the people of the Valleys featuring the spine-tingling accompaniment of the massed voices of The Morriston Orpheus Choir was its jewel in the crown. A rousing, passionate, political ode to Wales.